(ATLANTA, Ga.) August 8, 2017 — IronCAD, a pioneer of 3D design software and a leading provider of design productivity solutions, today announced an integration with Design Simulation Technologies’s (DST) SimWise Motion, a kinematic and dynamic motion simulation program. The SimWise Motion Design Extension for IronCAD takes a design made up of assemblies of moving parts and simulates its kinematic and dynamic motion with a single click, allowing users to evaluate its functional performance. SimWise’s 3D kinematic and dynamic motion simulation delivers simulations that closely reflects real-word functionality, allowing engineers to answers fundamental questions such as “Does it work?” and “Will it break?” and “How can it be made better?” Knowing the answer to these questions early in the design cycle allows engineers to make critical changes without going through the expensive and time-consuming steps of building a physical prototype, testing it, and redesigning it. 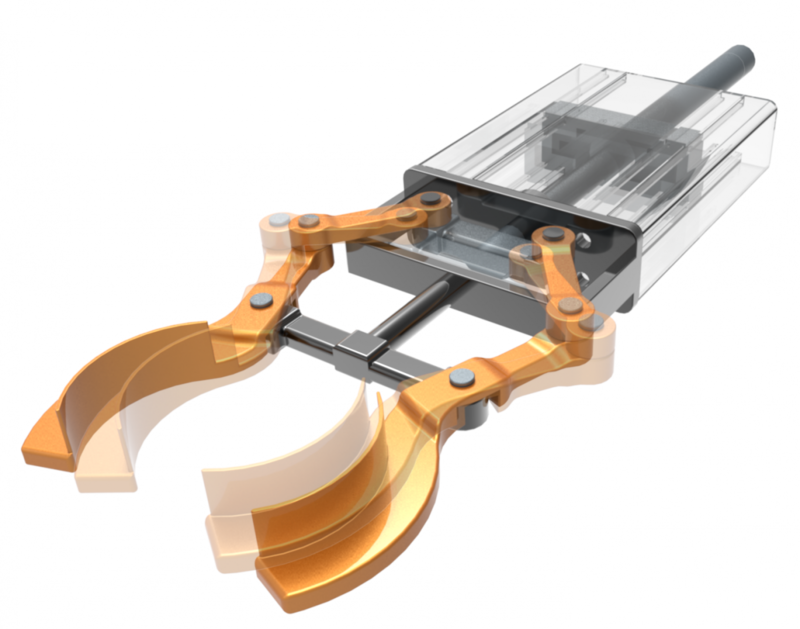 SimWise Motion supports motors, actuators, gravity, realistic contact between bodies, springs, friction, damping and other generated forces, as needed. Once applied, SimWise Motion calculates several types of results that can be used to verify a design’s operation. Animations deliver the visual feedback engineers need to understand if their designs will work properly, along with accurate, physics-based engineering data associated with the movement of an assembly. Result vectors and plots of displacement, velocity, acceleration and forces give engineers the numerical information they need to fully understand the performance of their designs. As changes are made to any design, all settings are updated and maintained so that iterative data can be compared to verify design improvement. Based in Atlanta, Ga., IronCAD is a leading provider of 3D design productivity solutions that deliver the highest levels of customer satisfaction and productivity. Individual components of this solution can be used standalone, complementary within an existing design environment, or can be used together to collaborate effectively throughout the enterprise to extend productivity. IronCAD’s flagship product IRONCAD has won many industry awards for its innovative technology and leads the industry in its ease of use and design productivity. Thousands of customers worldwide use IronCAD to support their success. For more information on IronCAD, call 1-888-809-7304 or visit www.ironcad.com.